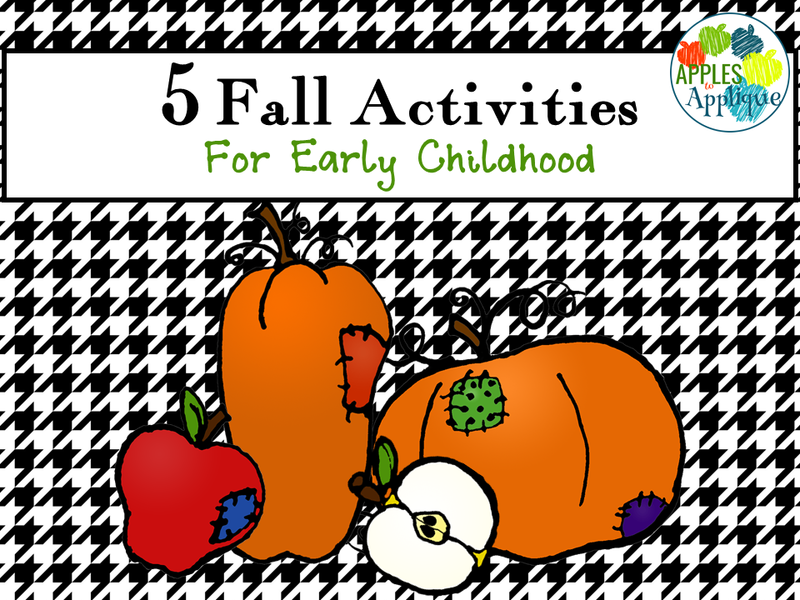 It's mid-September, so that means it's time to break out the fall activities! 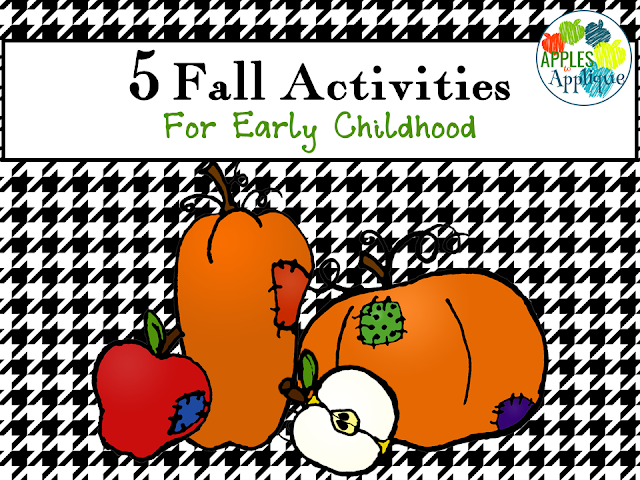 I have five activities for you today that are perfect for Early Childhood. 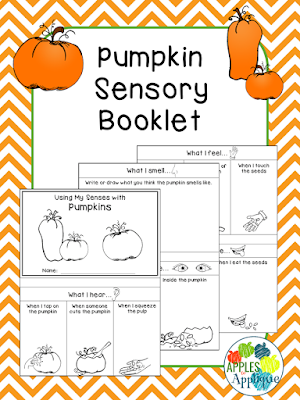 The first 3 are sensory activities. We all know that kids love exploring the world for themselves, instead of just hearing about it. 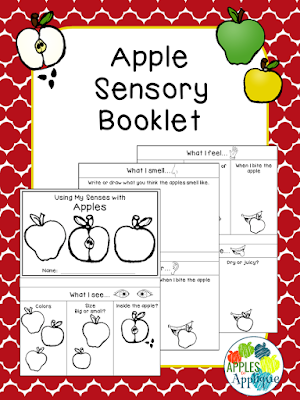 My sensory booklet series will give students a chance to record their observations in an age-appropriate way, using pictures to describe their findings. 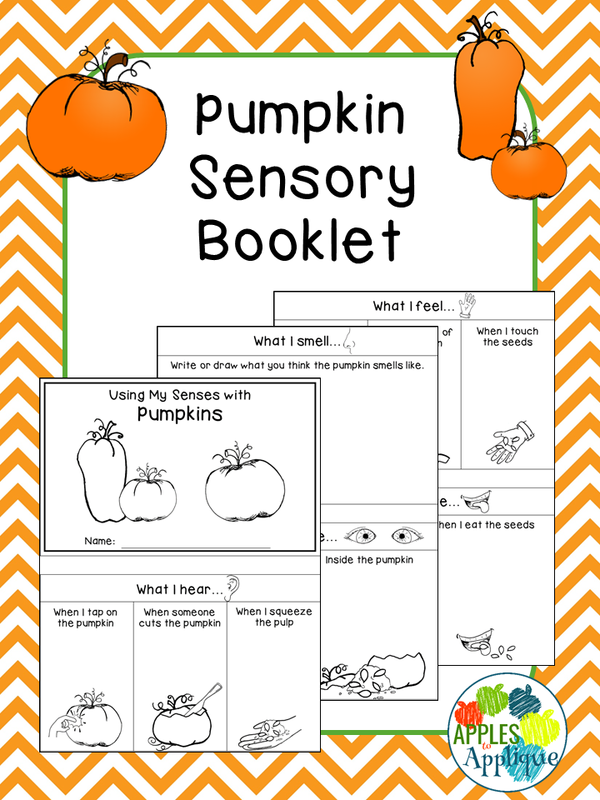 Guide students through sensory experiences with fall items! 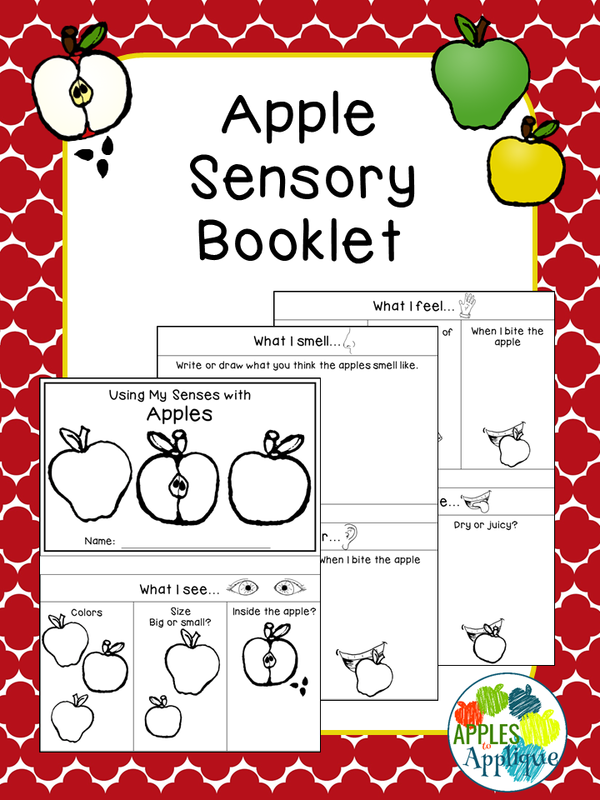 Simply cut and staple the pages together to create booklets for students to record what they see, smell, hear, feel, and taste (when appropriate) as they explore apples, pumpkins, and fall leaves. 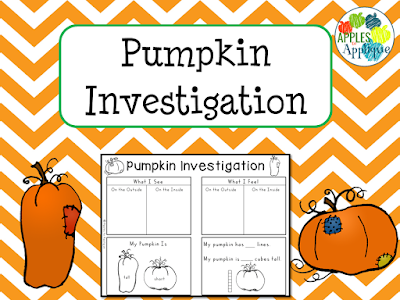 The next activity is the popular Pumpkin Investigation Activity. Unlike most common versions, mine has been tweaked to make it appropriate for Early Childhood--using cubes to measure, and without counting hundreds of seeds. 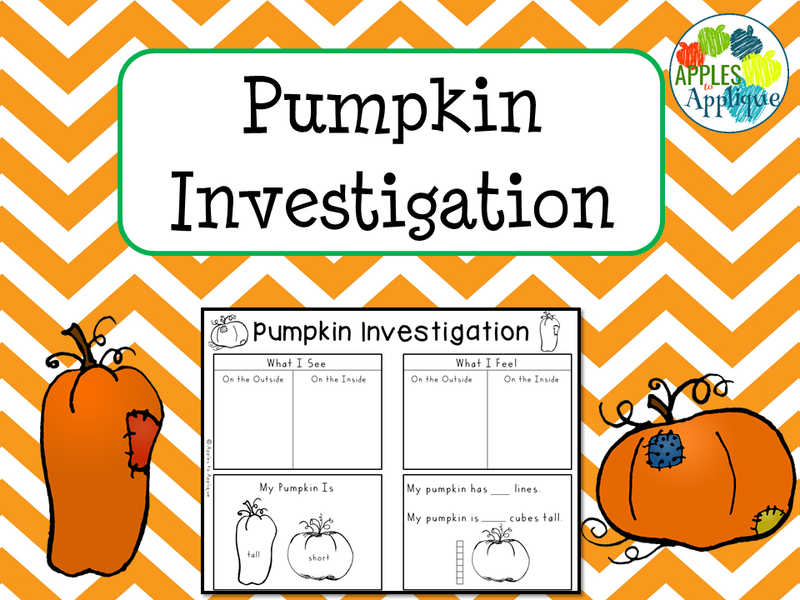 This last activity is just for fun, although it does provide great fine motor practice! 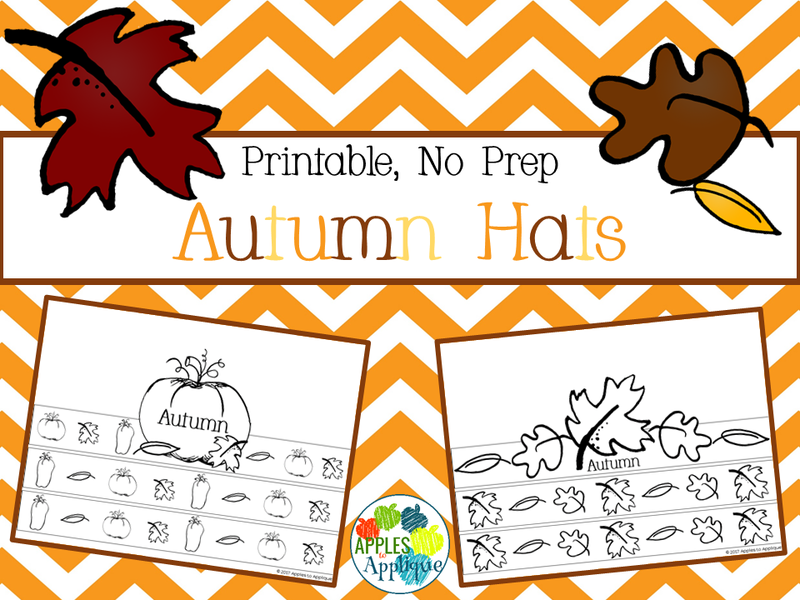 These darling Autumn Hats require zero prep--not even a sentence strip! 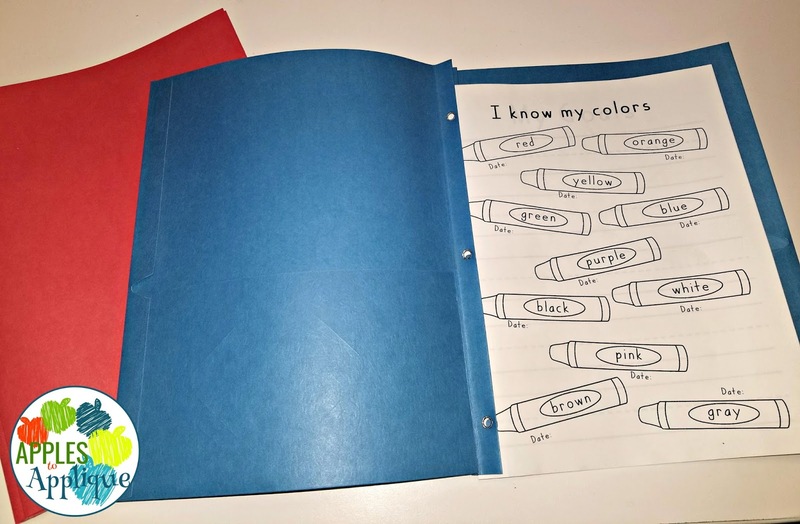 Just print and have students color and cut. All you have to do is staple or tape them to fit on students' heads. It makes a wonderful culminating activity after some fall sensory experiences; students can use various colors to match what they saw in their observations. 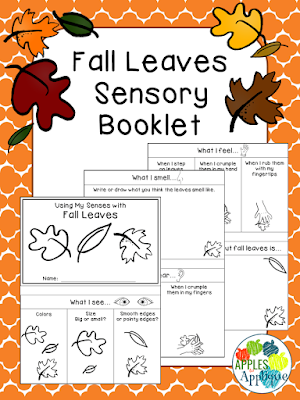 What are some tried and true fall activities your students love? Since I teach Pre-K, I teach two half day classes of three-, four-, and five-year-olds. 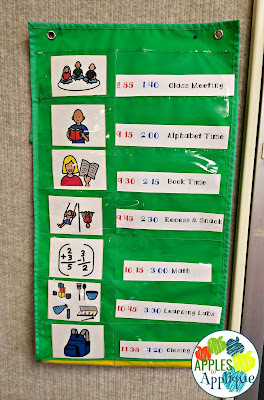 That means 40 little people in my room each day, and I have to keep track of their progress, goals, communications with parents...and all of their stuff. Pre-K kids aren't the greatest at keeping track of their stuff. 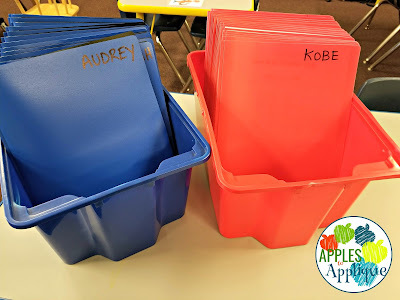 While I don't have a remedy for all the kid stuff, I do have a pretty good system in place that has helped a LOT with organizing the rest of it. My secret? Color coding. The morning class is red, and the afternoon class is blue. I mean, everything. Take home folders. 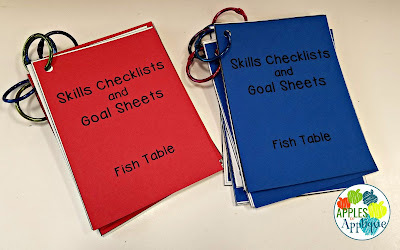 Student skills checklists and goal sheets. 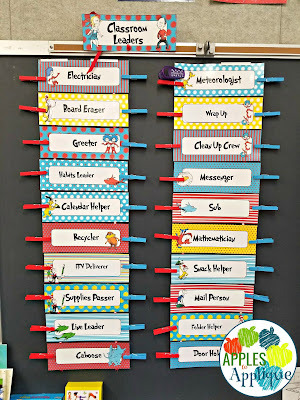 Classroom jobs. 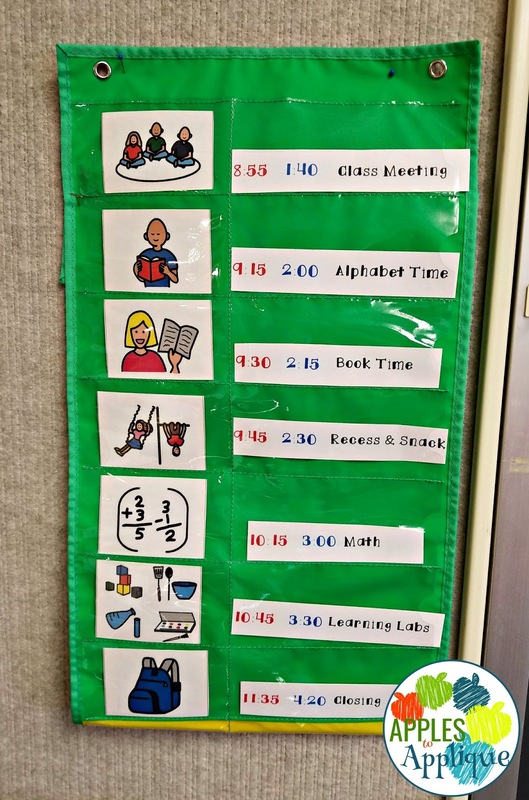 While I can't sell this exact job chart due to copyright reasons, find similar ones here in my Teacher Pay Teachers store! Data notebooks used with our Leader in Me program. Even student files. 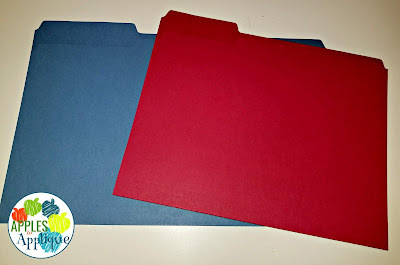 Yes, I bought red and blue file folders just for this purpose! I may be a little obsessed, but it seriously helps me stay sane. Group seating chart. I LOVE this system! 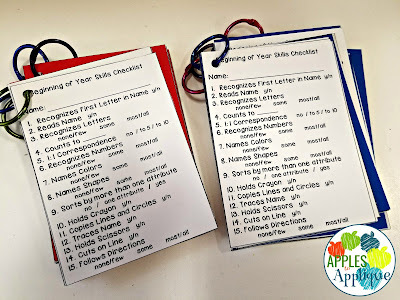 The names are attached with Velcro so it is quick and easy to change, and a quick glance across the room can tell me who is supposed to be where. 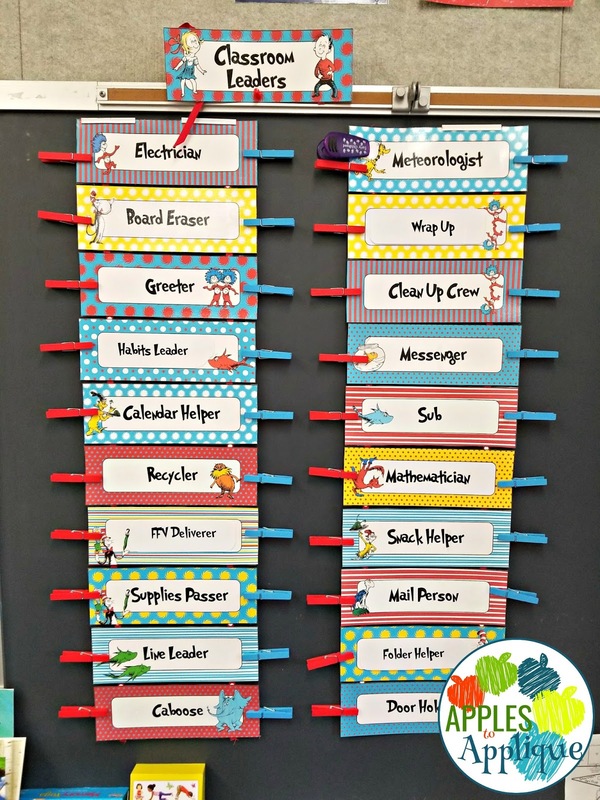 Clip system for recognizing students who are using the 7 Habits of Leader in Me. 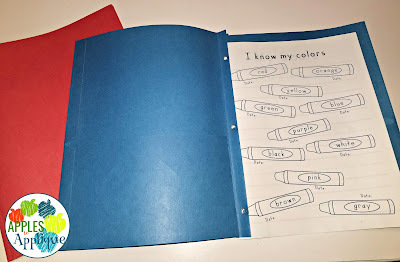 Morning kids have red clips, afternoon kids have blue. There's more, but you get the idea. This system works so well for me, and really helps me and my paras stay on the same page. 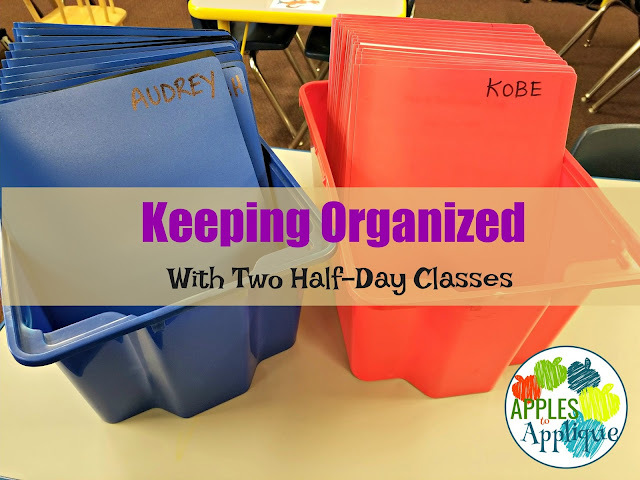 Other teachers with half day classes, I would love to hear tips on how you keep everything organized!